What McFague sets out to do, she does well. With her scientifically formed conceptualizations and characteristic creativity, she builds on her earlier work of theological metaphor and ecological consideration into a sweeping rethinking of theology. Panentheism is not new, but her justifications and explications seem fresh and visionary. As a political theology this work was underdeveloped. It failed to give much concreteness to the situation of the oppressed, and because her connection to biblical Christianity is so thin she was unable to draw much from the image of God as liberator. Her God, in fact, was eminently sympathetic – to the point of being a victim - but anemic, weak, and unable to effect the eschatological vision which seemed to have been included almost as a compulsary final word. Setting aside differences between her and I regarding religious epistemology (differences which are deep and wide), I found McFague’s panentheism mostly coherent but not convincing. She admits that she cannot reconcile the Christic image with the evolution that she believes is the process of God’s creative action in the world: this she hardly addresses, but it is an obvious problem of theodicy. The suffering Christ she dismisses is both victim and victor: the Christ that Sallie McFague (and her theology) truly need. McFague describes a panentheistic vision of God - the whole universe as God's body empowered by the divine spirit. McFague develops such an alternative 'organic model' in response to the ecological crisis and what she believes as a 'common story of creation'. In the process she rejects classical notions of the 'church as the body of God' citing its' anthropocentric exclusivity as a reason and several models of who God is, namely deism, dialogic, monarchical and agential. She emphasises the range of God's inclusive love for all of creation and especially for the oppressed. With a 'cosmic Christ', suffering also happens to God and not just to us, McFague argues. Such a new vision would lead to a renewed, better word as it underscores interdependence and independence, how to live within the scheme of things, seeing salvation as meeting the basic, physical needs of earth's creatures, solidarity with the oppressed, and humans' special vocation as stewards. McFague's desire to live responsibly on this planet needs to be welcomed. Humanity has indeed taken its freedom to such extreme levels that many of the God's creatures are suffering. But, McFague's next pragmatic step of constructing a model of God that suits a vision of planetary responsibility is not convincing when compared to God as revealed to us in Scripture. I struggle with how to evaluate this book. I clearly have a very different view of theological method and norms than McFague does and that makes it difficult for me to see her methodology here as legitimate. To me, this doesn't feel like theology, and certainly not Christian theology. It feels like new age mysticism/panentheism wrapped in Christian lingo. There's very little here that offers any sort of concrete way of doing ecological theology and creation care, McFague rather prefers to stay abstract in her theologizing and is actually happy to NOT provide any actual concrete ethic for creation care (cf. page 202). So much of this book feels surface level, afraid to delve into the complexities and difficulties involved in actually practicing ecological theology. I'm also extremely concerned about making the earth and creation a member of the oppressed as McFague does. I'm reminded of a conversation with M. Shawn Copeland at AAR one year where she told me that she often sees ecological theology function as a way for whites to assuage their guilt over not participating in the struggle for liberation because they feel like they're doing their part by helping the environment and I can very easily see McFague's work being misappropriated along these lines despite the fact that she would disapprove of such a misappropriation. I did really appreciate, however, McFague's articulations of the importance of embodiment. This is where her work is at its strongest and makes a positive contribution to theological studies. I had a lot more difficulty with this book than I did the previous work I read by McFague. While in principle I agree with the need for such exercises as the one she undertakes here - outlining a potential model of God, in order to get us to "think differently," to help establish a paradigm shift allowing for the possibility of an embodiment or incarnational theology - overall I found the project as executed somewhat frustrating. Mainly I think this comes from unresolved epistemological questions. But most of all, with as much revision as she brings into the Christian tradition, it remains unclear to me why she stays within the Christian framework or uses it as her starting point. Furthermore, her conception of sin as something committed against to bodies seems to me to require a discussion of communal bodies (organizations such as the church) and the sin they commit, and how this in turn might affect our using the traditions established by the church as guidance in doing theological work. This would be a quite natural discussion in this book, but it just didn't happen.Still, she raises a number of important questions for modern Christian theology. I think I just wanted to see them argued for more rigorously, rather than simply described. I found understanding Sallie McFague’s, “The Body of God” a provocative yet difficult tome to complete. Most of the problem was mine as it seemed more appropriate for scholarly consumption. Definitely not for a layman unless very conversant with the vernacular of theologic/philosophic unique words and concepts.From the beginning McFague paints the perimeters of her main ideas and the reader soon realizes that this is not an attempt to develop some new truths about God rather another way of conceptualizing about that which is the I AM. Numerous times she illustrates by calling it, “the back side of God and not the Face”. She appears to be an early proponent for “green” attitudes toward taking care of Mother Earth, so Mother Earth can take care of us. Though she implies that the Spirit is in and through all, mankind is that part that is capable of self reflection and must bear the responsibility for nurturing his Earth home while simultaneously being a part of the mind and will of the Creator. Those who have deterministic/logical/scientific ways of thinking will probably not be inclined to complete it once the groundwork is fully understood. Those who are more mystically inclined will find much to reflect on. 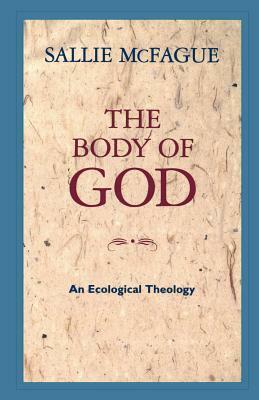 Good book on ecological theology, proposing the creation as the body of God. McFague talks a lot about bodies and spatial relationships, as distinct from our usual emphasis on temporality. I think she makes some good points, useful stuff going forward as we reground theology incarnationally and immanentally. I am reading this great book again! Not an easy book, but very interesting. I wish it had more history in it.